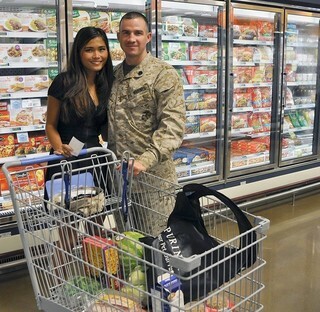 When you’re in the military, finding coupons for the items you need from the commissary and exchange stores can be difficult, especially when it comes to finding time during your busy day to sift through dozens of different websites looking for the right deals. That’s why, at MyMilitarySavings.com, we’ve gathered together coupons and other deals from a variety of sources to help you save time in your efforts to save money. We also provide convenient links on our site to the Defense Commissary Agency (DeCA), where you can add digital coupons to your Rewards Card for fast and simple savings, as well as links to the exchange websites for every branch of the Armed Forces. In addition to the military coupons that you can access from our site, you’ll also be able to join our bustling online community of military shoppers and their families. Our site’s articles include craft ideas, recipes, and blogs written by military spouses, and you can visit our Pinterest and Facebook pages for even more interaction with our community. If you’re interested in more information about our vast selection of military coupons, sign up for your free account at MyMilitarySavings.com today.